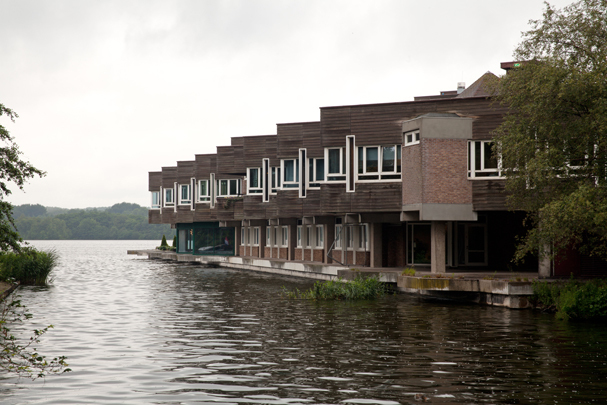 This town hall, based on an earlier 'less inviting' plan by Maaskant, is typical seventies architecture. A concrete frame on a square grid (8x8 m.) supports a network of octagons, with mushroom columns occupying the squares in-between. East and west facades are dominated by squares, the remainder by octagons which taper to a point when piercing the envelope.